The American author John Hart is the writer of the Johnny Merrimon crime mystery series which currently includes two books. I, honestly, didn’t believe it would turn into a series since the first book was published back in 2009. Yet, here we are in 2018 with a second book released in February. Besides this series, the author has also written several thriller standalone novels which are listed below. So here are the John Hart books in order for his so-far short series and his novels. The book list is updated as soon as a new story is published. John Hart (website) was born in 1965 in Durham, North Carolina as the son of a surgeon and French teacher. His mother stopped working to be able to raise the children. At some point, his family moved to Rowan County, which is the same place two of the author’s books are also located: The King of Lies and Down River. He attended the Davidson College located north of Charlotte, where he studied French Literature, from which he graduated in 1988. The first John Hart book was published in 2006 with the title The King of Lies. His debut novel was nominated for several awards, including the Edgar Awards, Anthony Awards, Barry Awards, and Macavity Awards. His second book, Down River, published in 2007, was also nominated for the Barry Awards and the Edgar Awards, the second one which he also won. It was the first award this author won for his writing. 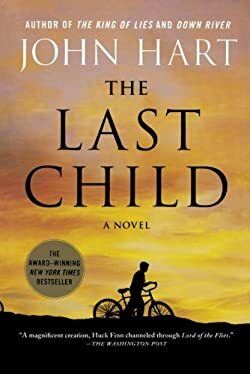 Next, the third of the John Hart books, The Last Child, which is also the first in his Johnny Merrimon series, was nominated for the Anthony Awards and won the Barry and Edgar Awards. As far as the awards are concerned, he is so far the only writer to have earned two consecutive Edgar Awards for best novel. Some additional awards his books won are the Southern Independent Bookseller’s Award for Fiction, the Ian Fleming Steel Dagger Award, the Southern Book Prize and the North Carolina Award for Literature. It is no surprise that his books earned so many awards. After all, the novels have been often compared to works by legal thriller authors John Grisham and Scott Turow. The author’s books have over 2 million copies in print and have been so far translated into over 30 languages and sold in no less than 70 countries all over the world. Before becoming a full-time writer, John Hart worked as a criminal defense attorney, a stockbroker, an apprentice helicopter mechanic, and a banker. Back in the day, he didn’t have as much time to write as he has now since he has been working full time as an author. Working full time, he used to wake up at 4 am just to grab a couple of hours of writing novels. Before his debut success, he wrote two novels that never saw the light of day. He always wanted to become a writer, he was dreaming about this all his life, but until he actually tried it, when he began writing his first novel, he didn’t believe he could pull it off. To write the first book he actually left his successful law practice. He wrote the book, but as it took him 4 years to publish it, as he didn’t want to be a lawyer any longer, he went on to become a stockbroker for a while. Although scary, he did pull it off because he never really cared all that much about being a lawyer. It was never his dream career. Writing was. The Last Child, the first Johnny Merrimon book is told from a child’s point of view, which is different from the author’s previous novels, which were all told as an adult white male’s perspective. Having read the book, I think the writer pulled it off quite well in his book. The author never intended to create sequels for his book, yet Johnny, the 13-year-old child, stuck with the author for many years, so eventually, he brought him back as a young man. In the second book, The Hush, 10 years have passed since the evens in The Last Child, so Johnny is no longer a young kid. He now lives in The Hush Arbour as a loner, on a land that his father left him, and his best friend, Jack, is a lawyer. But, as the past never leaves one quite alone, there are some strange things happening on that land which lead one back right to those old and almost forgotten times. If you haven’t read the first book in the series, you can still pick up The Hush and read it as a standalone. The author gives just enough background story for people to understand where the main characters are coming from. Thus, overall, reading the John Hart books in order is not a requirement. For his series, it is nice to do it, but you will not really lose anything by doing it. 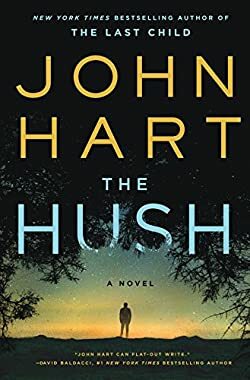 Having read pretty much all the author’s books so far, I do believe that this series makes some of the John Hart best books so far.